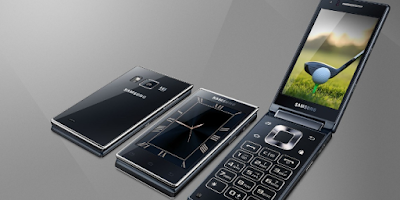 Mobile phones with flip designs have become a trend several years ago or when the era of feature phones. But not a few users who until now still like the flip design, where it makes some manufacturers launched a flip design smartphone. One of them is Samsung W2018, which is expected to slide in the near future according to Twitter users named @MMDJ_. According to the tweet, Samsung W2018 will be launched in Xiamen, China on December 1st, where the tweet also carries an official poster covering the W series for the past 10 years. In addition, celebrity guests who were invited to the launch also played a double role as a charity event. Over the past 10 years, Samsung has always used the launch event of its W-series phones as a platform to raise funds for charity. A follow-up post by @MMDDJ_ includes a mash up photo showing various charity and photo actions from previous years. Samsung W2018 will be the flip design smartphone with the most powerful performance ever made. The Smartphone will have a 4.2 inch FHD resolution screen and will be powered by Qualcomm Snapdragon 835 chipset. In addition, this smartphone will also be equipped with 6GB of RAM and 128GB of internal storage. Although Samsung W2018 will not carry the dual-camera setup behind, but rumors say that the smartphone will be the first smartphone to have a camera with f / 1.5 aperture. Rear camera is said to use 12MP sensor and front camera using 5MP sensor. Like other Samsung flagship smartphones that slide this year, leaked images from this smartphone also shows that the fingerprint scanner sensor will be placed on the back. Not only that, @MMDDJ_ said that this device will also have an iris scanner. Even the Samsung W2018 will also come with Bixby and has a dedicated button for it. Unfortunately, for now there is no info about the price, although there is a high probability the price is high. In addition, because Samsung's W-series is the result of cooperation between Samsung and China mobile operators, so there is no possibility if this smartphone will be sold in the international market.